This week’s post is a guest post from one of our wonderful makers Nicola Wellard of Silversixpence in her shoe Here she talks about personalising your bridal accessories. Personalised has become the buzzword of the moment and no less in the world of weddings. At a time when there is so much choice, so many social media channels to browse (don’t even start me on how much of your day can be spent on Pinterest in the planning stages!) and the will to have the best day ever, people are definitely turning to personalisation as a way to make theirs a wedding that stands out. 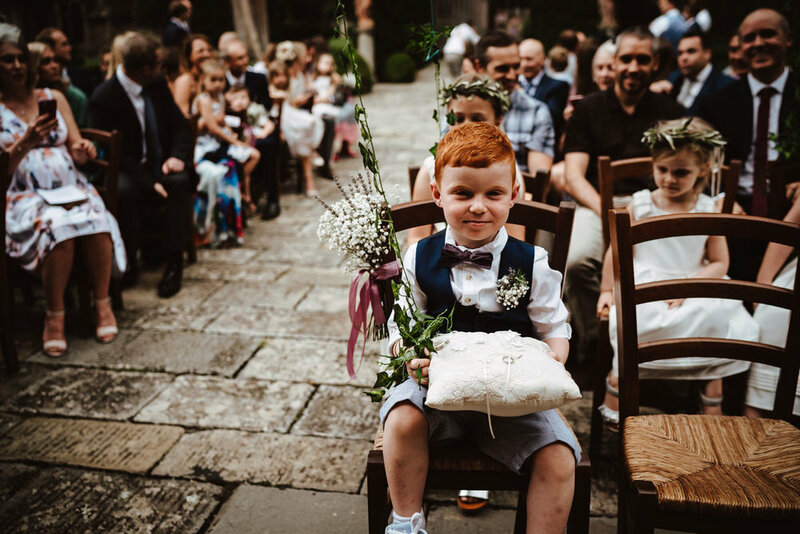 This can be quite an easy thing to achieve in certain areas, like invitations, styling, your actual ceremony or even your favours. But how do you bring this into your accessories for the day? Sentimental touches like a piece of jewellery can be a great starting point. I always ask my bespoke brides who come for an appointment if they have anything they would like to use. 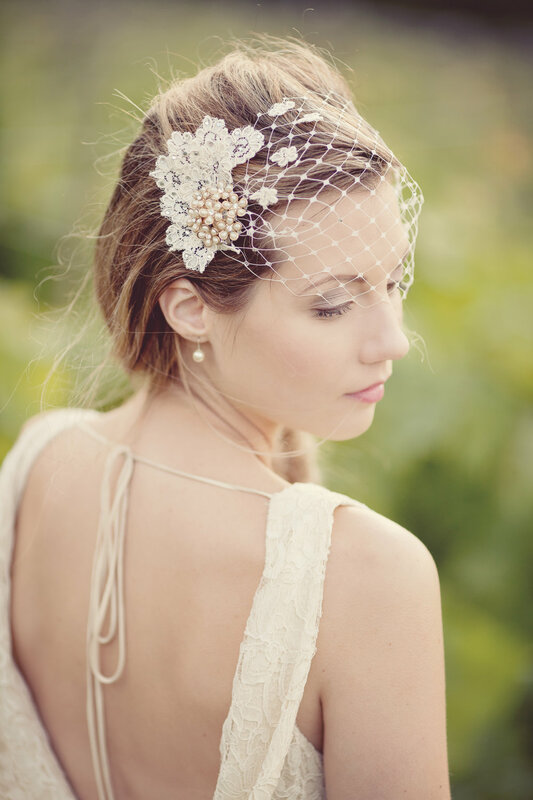 Our Persephone Birdcage Veil is a fantastic option for this. A single piece of jewellery perhaps from a grandmother can be incorporated in for a real personal touch. It doesn’t have to be an expensive antique- it can be costume jewellery. As long as it means something to you. The same idea can be applied to any of our headpieces or garters too. Using the actual material and tulle from family members wedding dresses and veils are other wonderful ways to personalise. Louise came to see my last January with a wonderful bag full of her mum’s 1970’s wedding dress, a huge tulle veil and even her Dad’s christening shawl. We worked on ways we could incorporate this into her look. Obviously most of us don't feel we can rock a true vintage wedding dress or veil and body shapes have changed, so repurposing is a big part of the process. Working together, we used the 1970s daisy lace motifs from her precious veil, hand beaded them in Louise’s colour scheme and these became the base of the bridesmaids' hair accessories. But Louise wanted to include more than just her own mum , so we took some brooches from her mother-in-law, up cycled these a little with some sparkles and used these on her own version of a bespoke birdcage veil to go with her show stopping dress. The Christening shawl was tricky, it was so delicate and old and so we decided to make this into a ring pillow and beaded onto the embroidery wok on the shawl to update it slightly and attached some ribbon ties to keep the rings safe. This has made a fabulous keepsake. Of course you may want to go a little more direct with how you use a precious heirloom. Vicky choose to wear her Mum’s original wedding headpiece from the 1970’s as it teamed fantastically well with her simple halter neck dress. With a bit of tender mending, and the addition of some creamier lace pieces the tones of 1970s ivory (which tends to be a bit whiter) blended well with her dress and modernised the headpiece completely. Vicky also wanted a short blusher veil making from her mum’s original veil too teamed with some soft birdcage veiling. Finally we used the lace from her mum’s veil to make a pretty lace keepsake garter. But what if what you want is literal personalisation? Your name and date etched in time forever. There are a myriad of gifts out there that allow for this now. 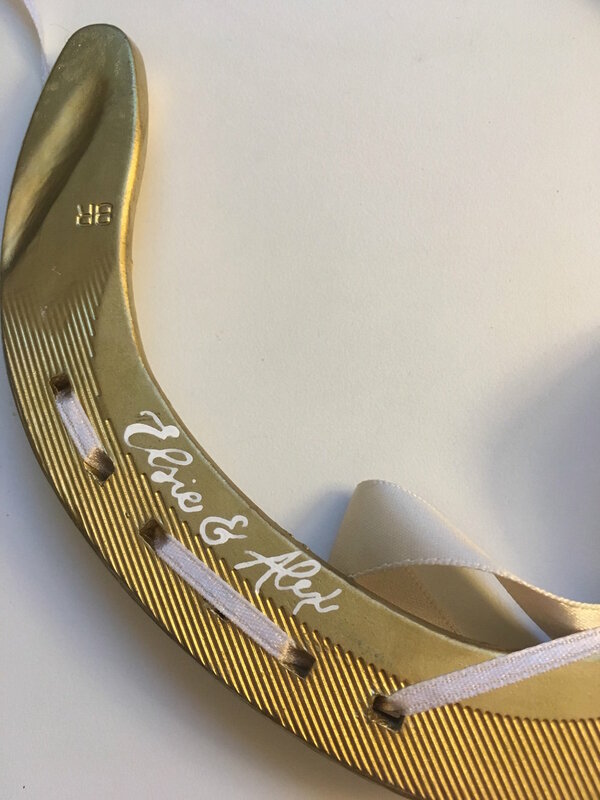 Our lucky wedding horseshoes are an old tradition that are making a big comeback alongside this rising feeling of sentiment and can be personalised with names and dates of your wedding. Why not hang your horseshoe in your house afterwards as a lasting memento, bringing luck into your home. I have even used peoples own horseshoes from their own horses for this very thing. I hope I have given you some ideas….remember it’s all about what it means to you. Contact Nicola to personalise an item.